So Canada and Denmark are having a dispute over an island in the Arctic. To be specific, this one. I think we should fight over the island. The ownership is officially undecided (and has been since 1973) and it's almost exactly half way between Greenland and Canada (a little closer to our side, but we'll ignore that). Both Denmark and Canada have put people (and flags, and all that) on the island to establish a claim. You say canada occupies Denmark, and when you did it our papers said Denmark invaded Canada. We put a big plastic ball in the middle of the island. 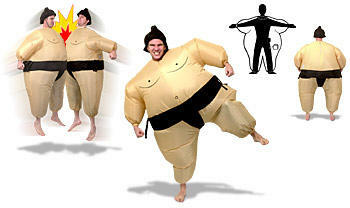 Then we each take six or so of our best troops and have them wear those sumo wrestling suits. Picture here. Then, each side tries to push the ball off the island - Canada will push east, and Denmark will push west. Whoever pushes the ball into the ocean on the other side wins the island. We'll cover the war with full media - the advertising revenue will pay for the costs of flying a crew up there. How does that sound to you in Denmark? Haha, denmark will f$ck up canada in a war! Denmark has an armed forces of 22000 personal compared to Canada's 58000 personal. All of Canada's ships are properly armed and combat capable while Denmark's ships are poorly armed and are out numbered by the Canadian fleet. The Canadian Army out numbers the Danish military and half the world doesn't even know Canada has an army! Canada might as well take Greenland while their up there.